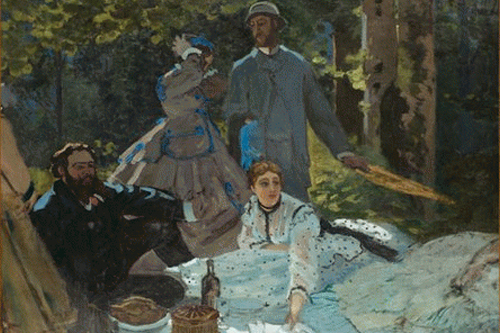 Meetings where they shared food and drink, either in public restaurants or in each others studios, homes and gardens, were important events in the lives of the Impressionnistes. Many of the paintings we will look at this evening will illustrate the role played by ’la nourriture’ in their works. Talk in French (advanced level) by Agnès Ness. Book now by phone at 0131 225 53 66 or come to the Institute.